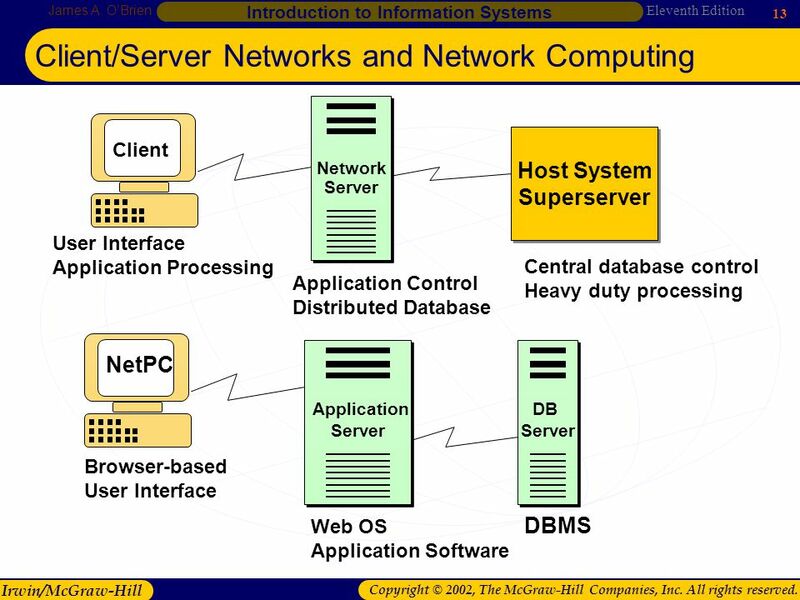 4 Eleventh Edition James A. O’Brien 4 Introduction to Information Systems Irwin/McGraw-Hill Copyright © 2002, The McGraw-Hill Companies, Inc. All rights reserved. 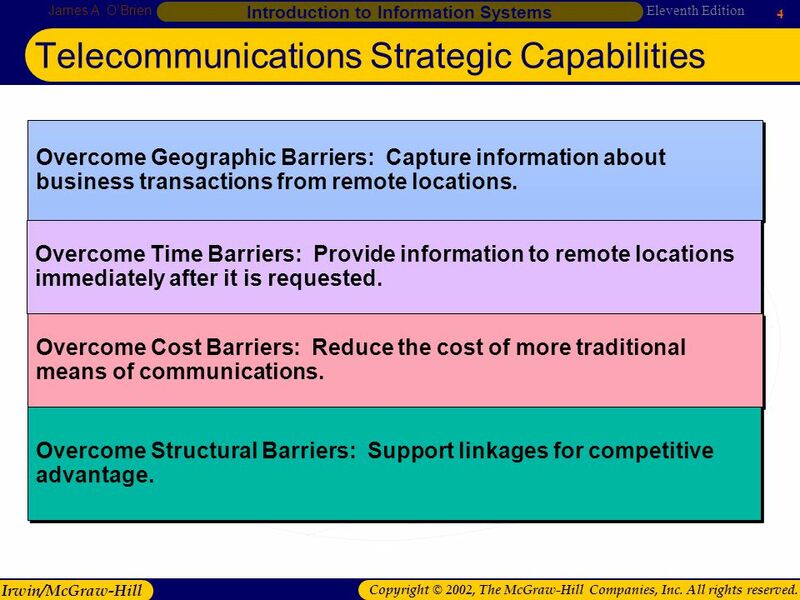 Telecommunications Strategic Capabilities Overcome Geographic Barriers: Capture information about business transactions from remote locations. 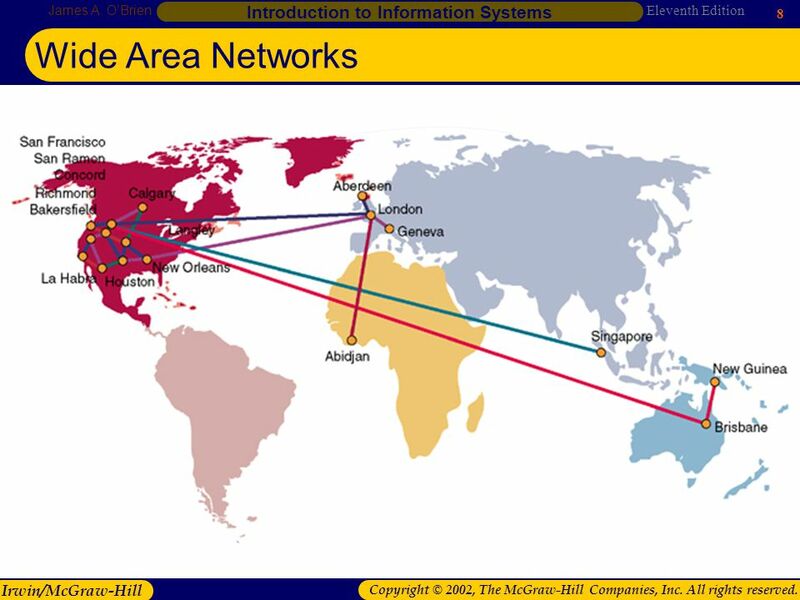 Overcome Geographic Barriers: Capture information about business transactions from remote locations. Overcome Time Barriers: Provide information to remote locations immediately after it is requested. Overcome Time Barriers: Provide information to remote locations immediately after it is requested. Overcome Cost Barriers: Reduce the cost of more traditional means of communications. Overcome Cost Barriers: Reduce the cost of more traditional means of communications. Overcome Structural Barriers: Support linkages for competitive advantage. Overcome Structural Barriers: Support linkages for competitive advantage. 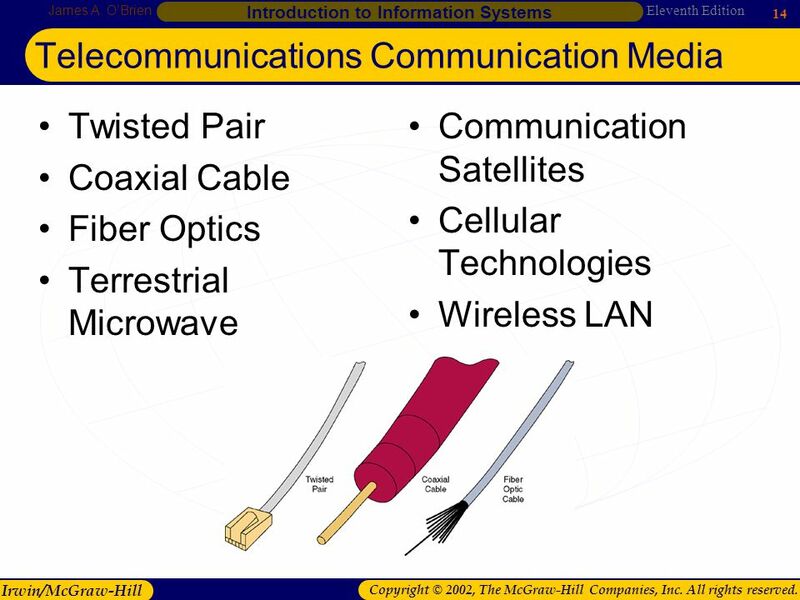 18 Eleventh Edition James A. O’Brien 18 Introduction to Information Systems Irwin/McGraw-Hill Copyright © 2002, The McGraw-Hill Companies, Inc. All rights reserved. 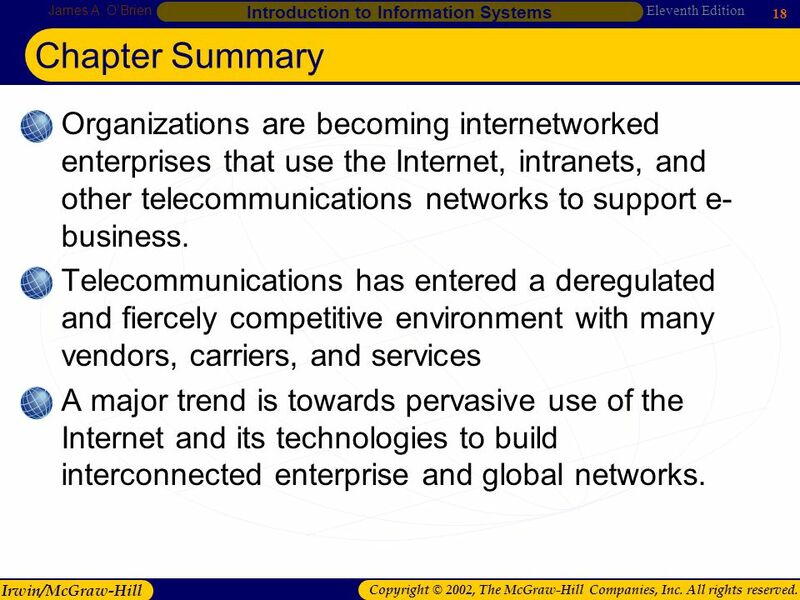 Chapter Summary Organizations are becoming internetworked enterprises that use the Internet, intranets, and other telecommunications networks to support e- business. 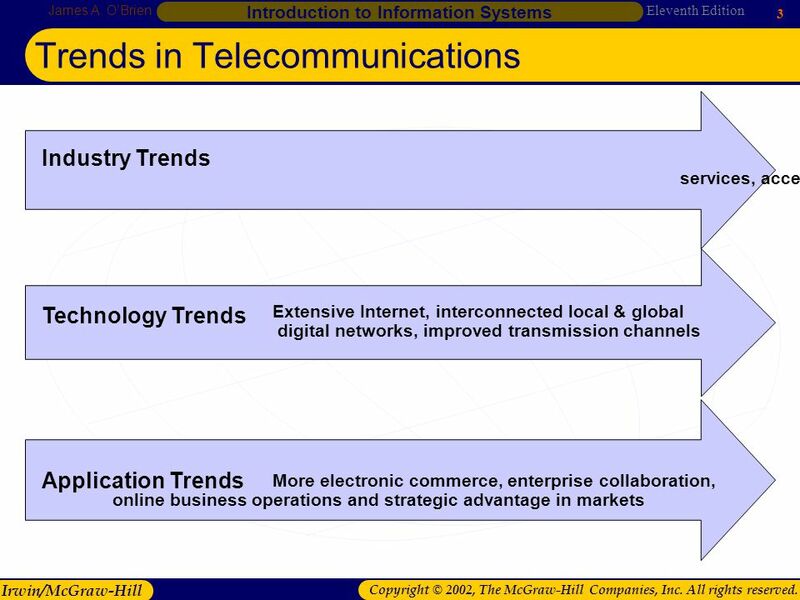 Telecommunications has entered a deregulated and fiercely competitive environment with many vendors, carriers, and services A major trend is towards pervasive use of the Internet and its technologies to build interconnected enterprise and global networks. 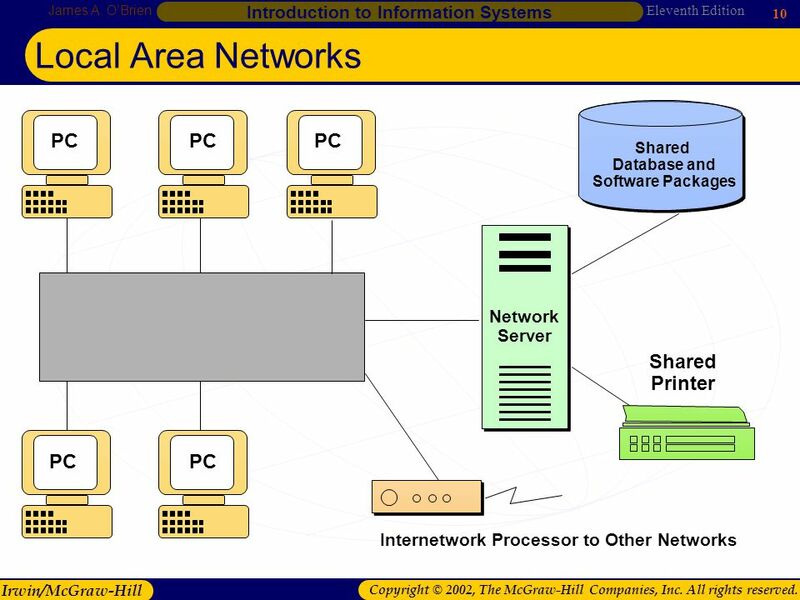 19 Eleventh Edition James A. O’Brien 19 Introduction to Information Systems Irwin/McGraw-Hill Copyright © 2002, The McGraw-Hill Companies, Inc. All rights reserved. 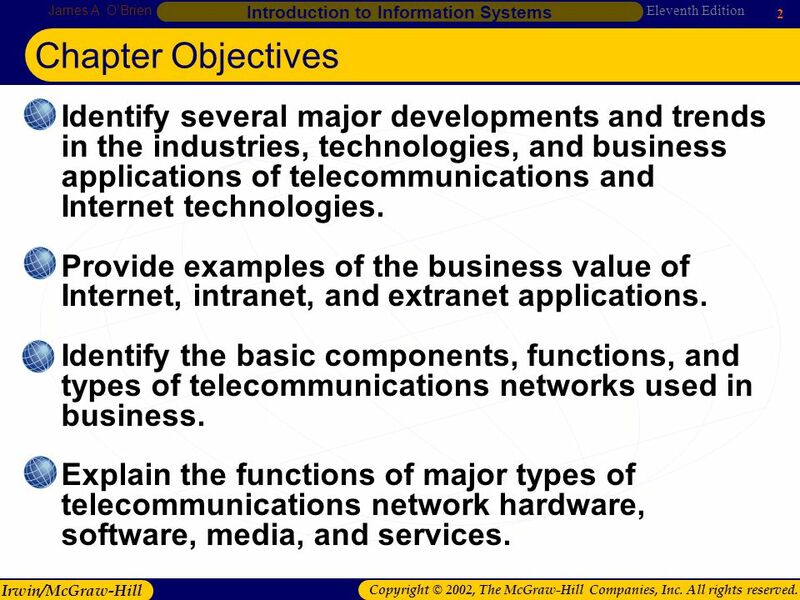 Chapter Summary (cont) The major components of any telecommunications network are: –Terminals, –Telecommunications processors, –Communication channels, –Computers, and –Telecommunications software. 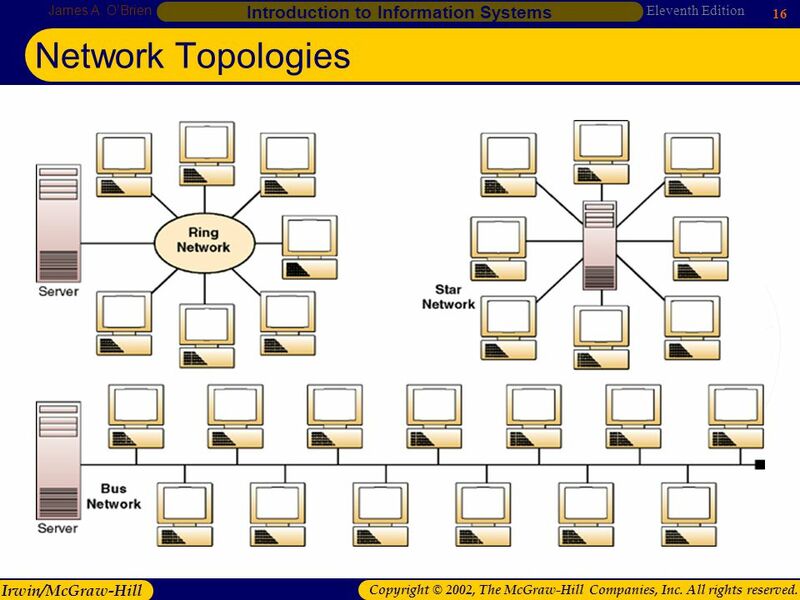 There are several basic types of telecomm networks, including wide area networks (WANs) and local area networks (LANs). 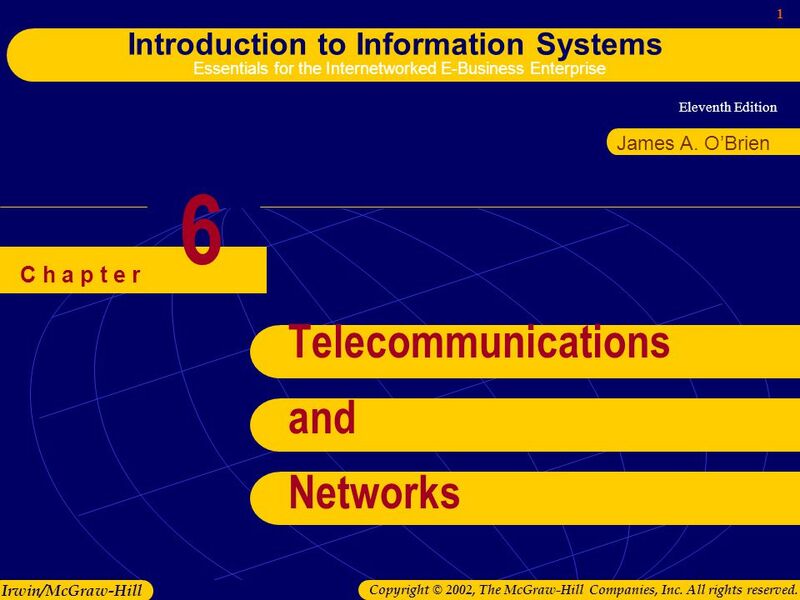 20 Eleventh Edition James A. O’Brien 20 Introduction to Information Systems Irwin/McGraw-Hill Copyright © 2002, The McGraw-Hill Companies, Inc. All rights reserved. 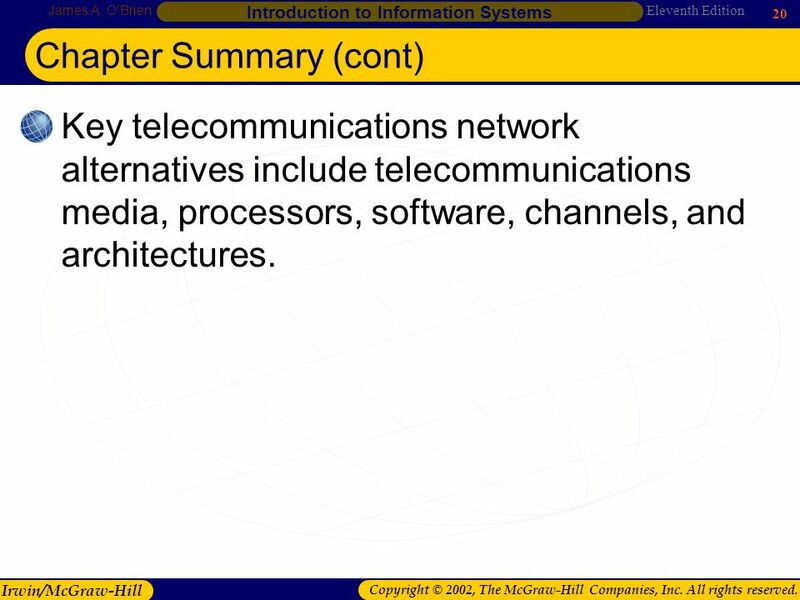 Chapter Summary (cont) Key telecommunications network alternatives include telecommunications media, processors, software, channels, and architectures. 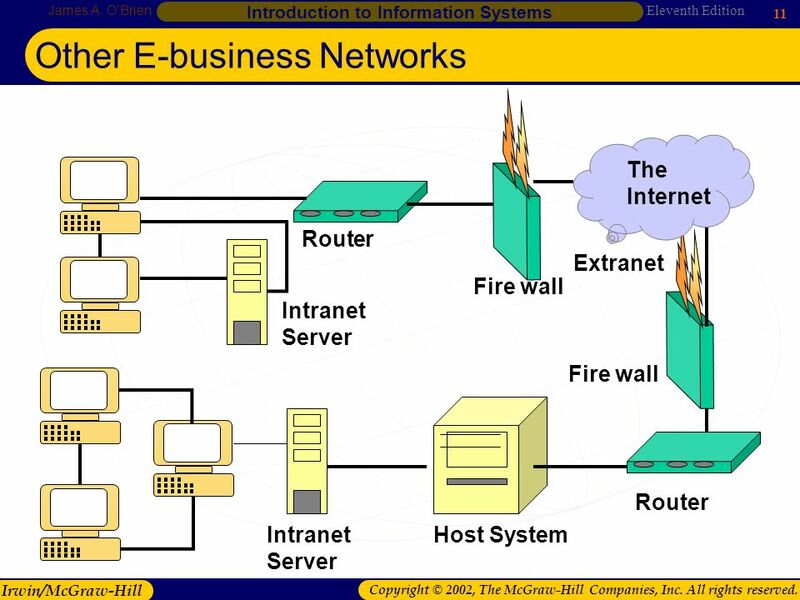 Download ppt "Eleventh Edition 1 Introduction to Information Systems Essentials for the Internetworked E-Business Enterprise Irwin/McGraw-Hill Copyright © 2002, The." 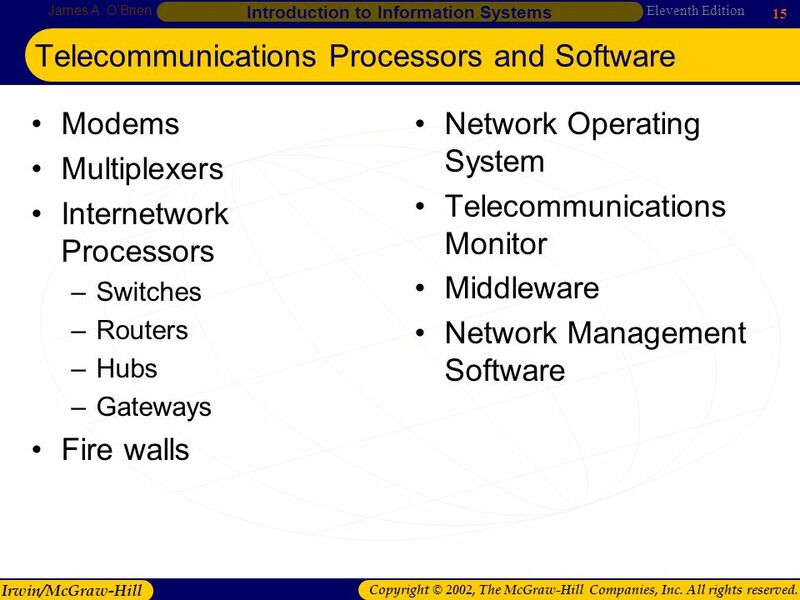 Principles of Information Systems, Sixth Edition Telecommunications and Networks Chapter 6. 1 McGraw-Hill/Irwin Copyright © 2004, The McGraw-Hill Companies, Inc. All rights reserved. 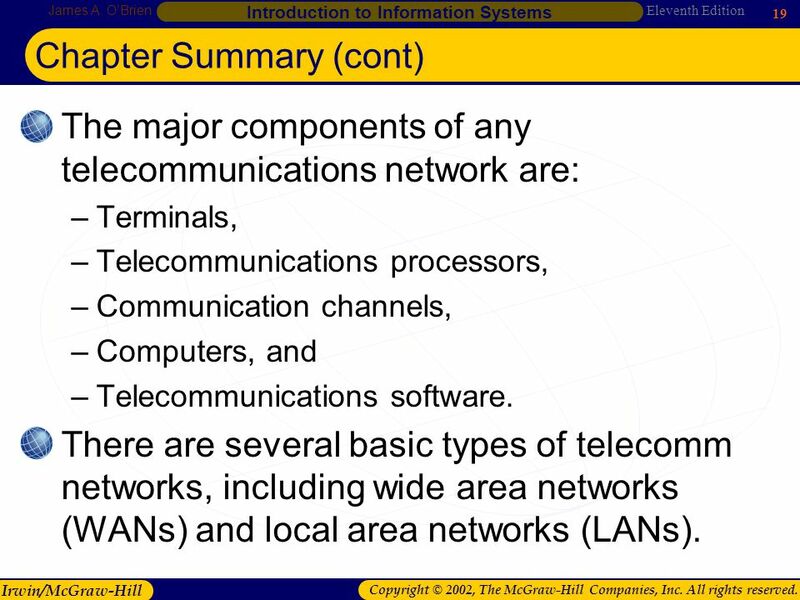 Chapter 4 Telecommunications and Networks. 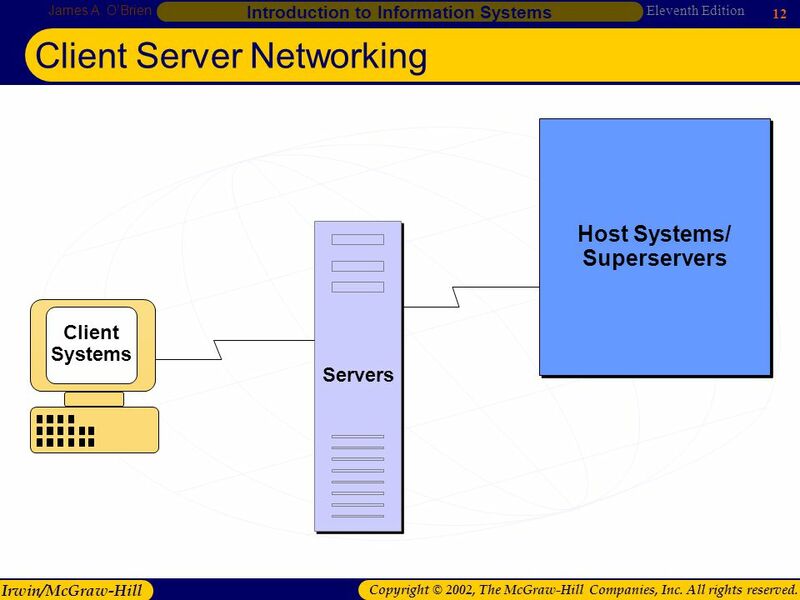 Thursday, February 3, Management of Information Systems: Mini-3 Spring 2000. 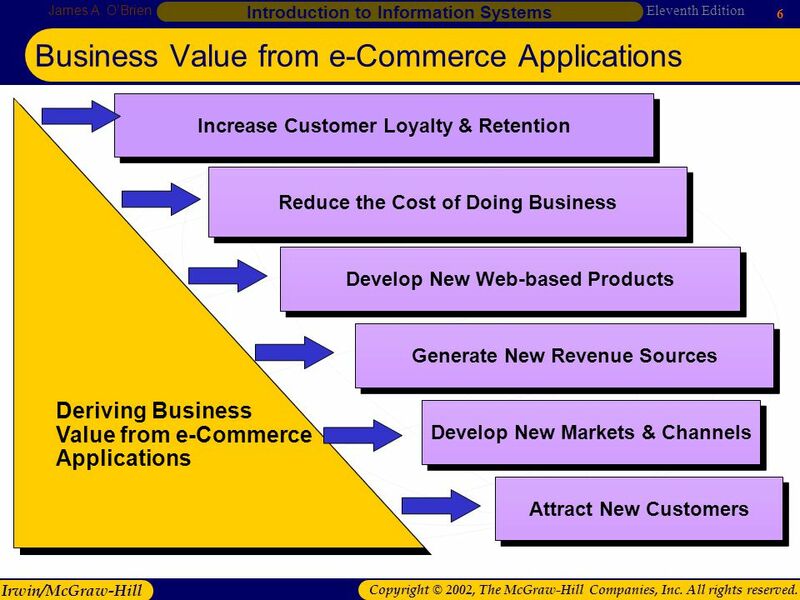 McGraw-Hill/Irwin Copyright © 2008 by The McGraw-Hill Companies, Inc. All rights reserved. 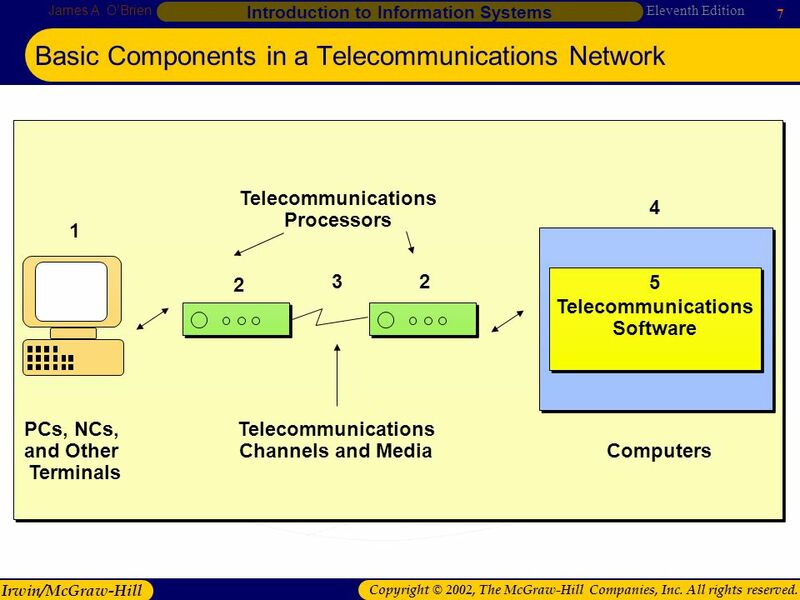 Chapter 9 Communications and Networks. 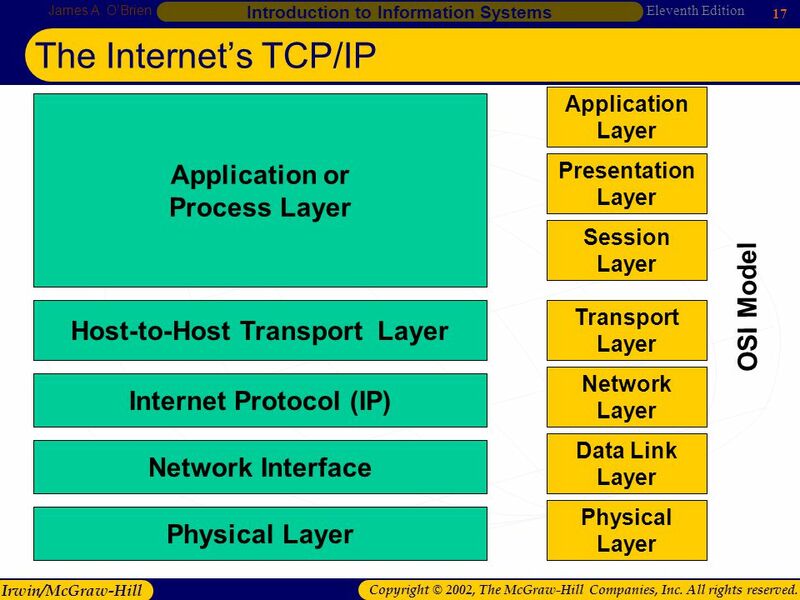 SESSION 9 THE INTERNET AND THE NEW INFORMATION NEW INFORMATIONTECHNOLOGYINFRASTRUCTURE. 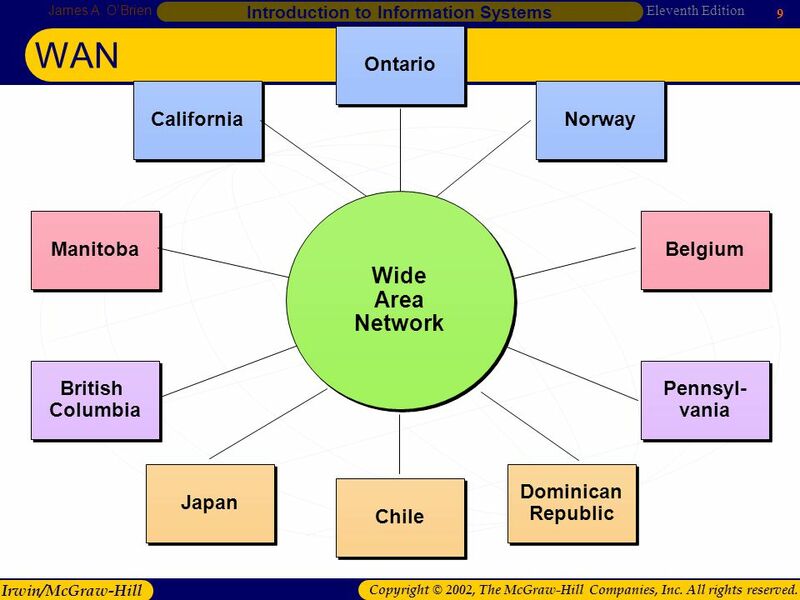 D-1 Management Information Systems for the Information Age Second Canadian Edition Copyright 2004 The McGraw-Hill Companies, Inc. All rights reserved. 1 Today, A Gameboy for $50, has more computing power than a Cray supercomputer of only 25 years ago. Tom Peters Circle of Innovation. 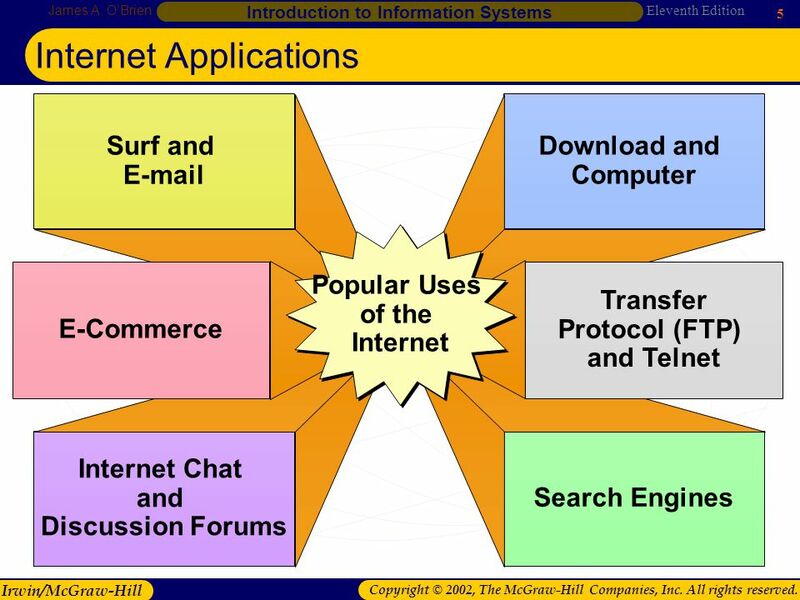 Thursday, February 3, 20001 Management of Information Systems: 45-870 Mini-3 Spring 2000.